This is the third installment in the "Candyman Ao" series, which started with A Sweet Calling and continued with No Sweeter Art. The order of reading isn't critical. 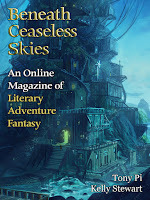 "The Sweetest Skill," by Tony Pi [bio] (edited by Scott H. Andrews), appeared in Beneath Ceaseless Skies issue 197, published on April 14, 2016. 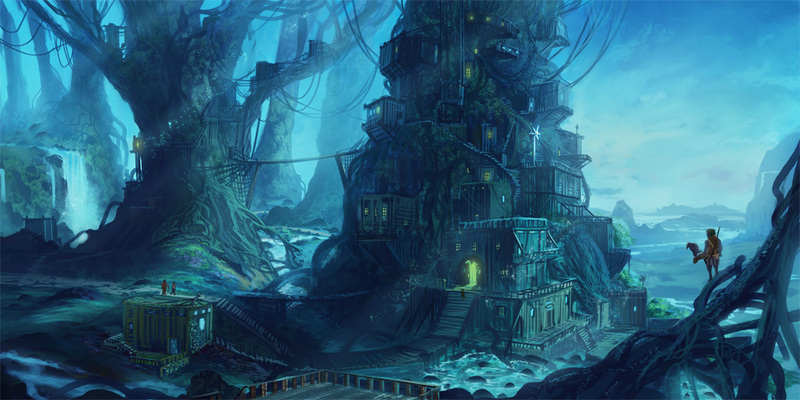 Lun, who leads him to the Tigress, finds the doctor, and saves Wuda from drowning (so Ao has no blood on his hands). Mother Sow, who gives him the strength to beat Wuda. Doctor Yan, who removes the arrow. Dog, who gives him the ability to make a water dog and to summon real dogs. The Golden Water River, which spares him the water. Ao is an active problem solver in all these cases. The two gods merely make it possible for Ao to win--neither directly helps him at all. For the rest, Ao tells them what to do--they merely act on his part. Ao himself is never passive, never expects anyone else to figure out what to do. The Tirgress kills the ringleader on her own--it was never part of Ao's plan anyway, although it does save his life. Dr. Yan removes the arrow. Tiger tells him how to heal himself. Or hints at it. The dog, Worry, is himself a gift from the Lord of Dogs. A special delight of the story is Ao's steadfast friend Lun, who asks nothing from Ao and yet gives him his unconditional support. The story has tension, but it also has laughs. Like Ao talking to the smashed candy tiger. Con: There's no big emotional charge. Since it's a first-person story, we know Ao won't die, and no one else is seriously threatened. The loose ends involving the city treasure obviously set up a following story. Fun and clever action story with interesting magic. It stood on its own well enough while clearly being part of a series. Plus, what sounds like a sequel “That Lingering Sweetness” is listed on Tony Pi's website as forthcoming from Beneath Ceaseless Skies. Thanks for the story links. Enjoyable, fun story. Definitely works as a standalone because I wasn't aware of the earlier stories when I read it.